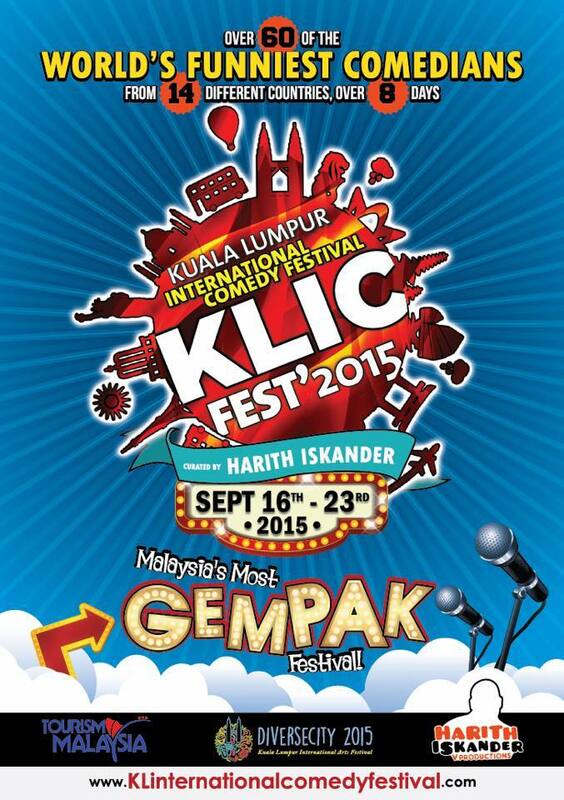 Laugh Till Your Belly Button Comes Off at KL International Comedy Festival 2015! Do you love a good laugh? If you do make sure to read until the end of this post because something is happening just around the corner and you wouldn't want to miss it. But first, let me start this post with a few jokes I found somewhere on the internet to warm up your laugh factory. Husband: "Adorable, beautiful, cute, delightful, elegant, fashionable, gorgeous and hot." Wife: "Aww, thank you, but what about IJK?" LOL! Aren't they funny? A good laugh will not only brighten up your mood but they also bring a lot of health benefits. With the stress level you have to deal each day be it at work or school, a hearty laugh will definitely make you feel better and more positive. If you're looking for something to help you loosen up and relax you should definitely catch the first Kuala Lumpur International Comedy Festival 2015 (KLICFest'2015)! 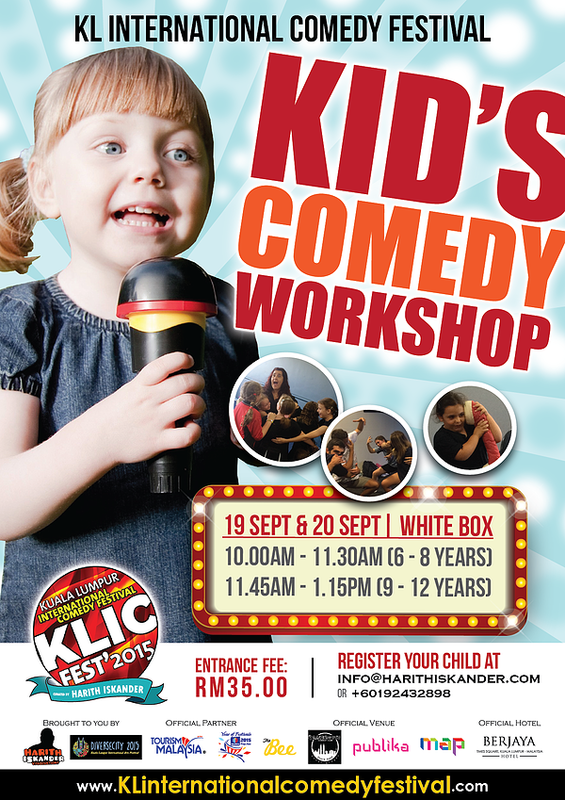 Starting from the 16th until 23rd September of 2015, KLICFest'2015 will be held here in Malaysia and it will feature over 60 comedians from 14 different countries and it's definitely not something to be let pass just like that! 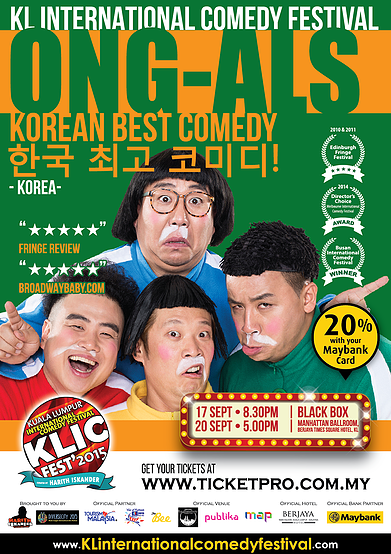 I was invited to attend their press conference a few weeks back where they did a short video conference with some of the comedians that will be taking part in the festival like Tom Rhodes, Paul Ogata and most importantly a Korean comedy group called Ong-Als which I've fallen in love with! They do comedy which is inspired from 'babbling baby talk' and are always able to render the audiences into hysterical laughter. You can have zero understanding of Korean language, you will definitely get their joke! As for myself, I watch a lot of Korean shows including their comedy program 'Gag Concert' so I'm really looking forward to watch the four guys act. The highlight of the eight days long festival will be the Laugh Malaysia Gala Night which will be going on in the Manhattan Ballroom, Berjaya Times Square KL. That night will feature the BEST of the comedian line up! I definitely won't be missing out on this night! 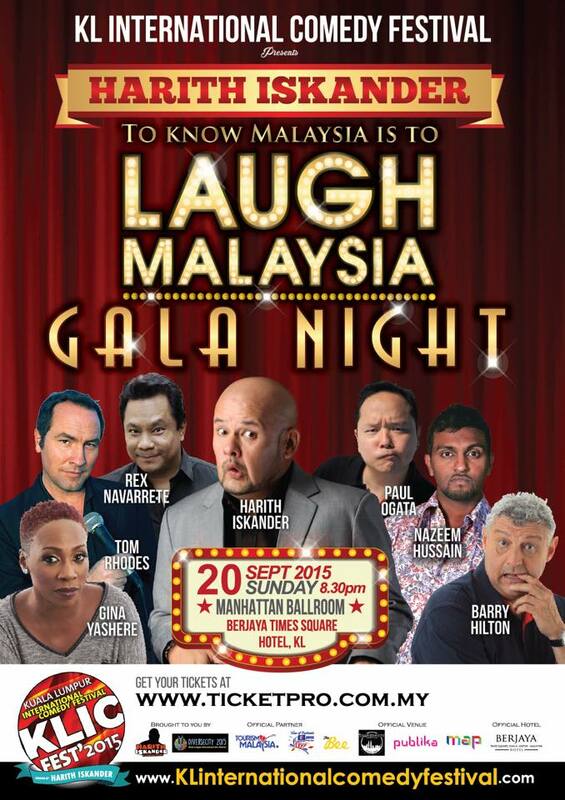 Just see the names of the well known comedians in the poster. Laughter is definitely guaranteed!! You can get more information on the shows and the comedian line up from their website www.klinternationalcomedyfestival.com. The tickets can be purchased online from www.ticketpro.com.my so make sure not to miss out on this exciting occasion!